Unfortunately, supervillains are searching for the pieces of a decrepit magic dagger, hurting innocents and fueling nasty anti-super protests. Her close friends, who helped before, are barely speaking to her, and one of them stands in the path of the violent hunt for the knife. 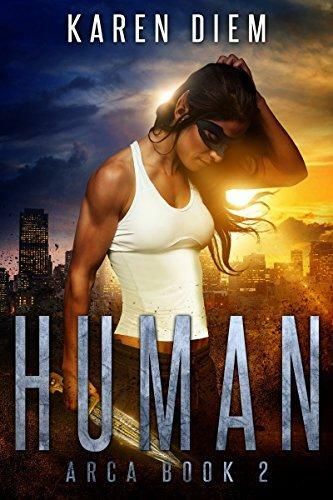 Human is the second in the Arca superhero urban fantasy series, and as a movie would be rated "R" for immoderate language, lame sexual innuendo, and comic book violence. While Human can be read as a standalone, it contains spoilers for the first book in the series.